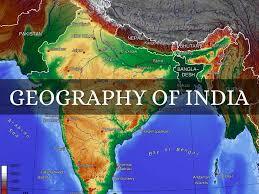 General Knowledge Question Related To Indian Geography Set 67 And Date Wise 08-11-2017 For All Examinations Which among the following rock system in India is also known as storehouse of minerals And provide the general question relating to the Indian constitution, that will much more and General knowledge questions and answers – for all competitive exams – MBA entrance, bank exams, RRB – Railway Recruitment Board And CAT, MAT, SBI-PO, RBI And Railway, Indian Army , Rajasthan,Delhi Police Related Study material And All competitive Exams. Question. (1) Which river comes from a river in the Triveni Canal? त्रिवेणी नहर में किस नदी से पानी आता है? Question. (2) Which National Water Development Agency was established in the year? राष्ट्रीय जल विकास एजेंसी कौन-से सन् में स्थापित की गई थी? Question. (3) What is the highest interval between sowing and harvesting of which crop? किस फसल की बुवाई तथा कटाई के बीच सर्वाधिक अंतराल पाया जाता है? Question. (4) National Juicy Fruit Research Center is located? राष्ट्रीय रसदार फल अनुसन्धान केंद्र अवस्थित है? Question. (5) Which is cultivated in the hilly areas of Nilgiri? नीलगिरि के पहाड़ी क्षेत्रों में किसकी खेती की जाती है? Question. (6) Which city is famous for grapes? कौन-सी शहर अंगूरों की पैदावार के लिए प्रसिद्ध है? Question. (7) Which cash crop is not born in Maharashtra? कौन-सी नकदी फसल महाराष्ट्र में पैदा नहीं होती है? Question. (8) Which planet’s axial tilt is the highest? किस ग्रह का अक्षीय झुकाव सबसे अधिक है? Question. (9) What is the middle part of the sun? सूर्य के मध्य भाग को क्या कहते हैं? Question. (10) What is the part of the sun over? सूर्य के ऊपर के भाग को क्या कहते हैं?